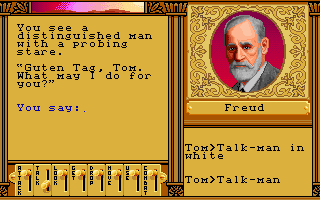 Continuing where the first Worlds of Ultima game left off, Martian Dreams now puts the Avatar and Spector in a fictionalized Victorian era, having arrived there after discovering how to travel time with the Orb of the Moons. There they discover that Percival Lowell has built a space cannon in an effort to explore Mars; however, the launch is sabotaged, propelling numerous famous people and leaders to Mars with no way of getting back. A second launch is soon prepared in an attempt to rescue them, which the Avatar and Spector take part in. Upon reaching Mars, however, they're tasked with not only finding the missing rocket, but uncovering the mysteries of a long-dead Martian civilization. A far more elaborate game than Savage Empire, Martian Dreams not only has a considerably more complex and involving plot, but a surprising eye for detail in its mechanics. The player must not only keep their party fed, but deal with low oxygen conditions and safe handling of radioactive materials. 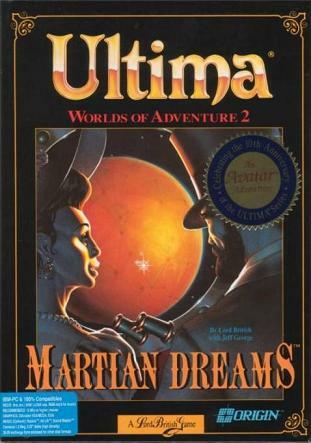 It's not hard to see why this is a favorite among the lesser-known Ultima games, with Warren Spector even claiming it's the best in the series (although the fact that he was its lead writer probably has some influence on that decision as well). A third Worlds of Ultima game based around King Arthur and the Knights of the Round Table was planned and even partially developed, but ultimately cancelled due to poor sales of Savage Empire and Martian Dreams. 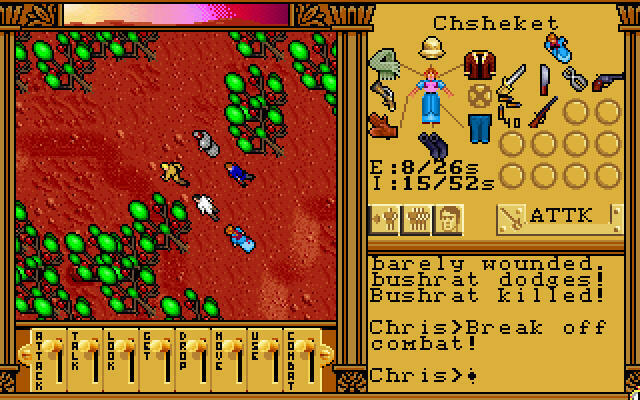 Like Savage Empire, Martian Dreams is available for free on GOG, packed in with PDFs of the original manuals. A full walkthrough of the game is available here courtesy of the Ultima Codex. A full Let's Play is here, hosted by LPArchive.